So often adult learners are hesitant to go to their professor for help for fear that they might appear uninformed. After all, it has been so many years since being in school that the adult learner is unsure that they made the right decision to even return to school. As a professor working with adult learners, here are a few things I wish students knew. We really want to help students. Yes we have classroom standards and we expect you to do the work to get the grades. But we long to help students who have questions or are struggling with the course material. The assigned reading in the text books is really important. So many students think they can go through a course without even opening the textbook and some even brag they didn’t bother to get the textbook for the class. Only so much material can be covered in class. The textbook is a rich source of information about the subject or focus of the course, we really want you to take the time to read the material. Please read instructions for the assignments before doing them wrong. So often adult learners fall prey to the tyranny of the urgent and skim through the instructions for assignments, ultimately doing them wrong. They waste more time having to redo them. If only they had taken time to read the instructions before launching into the assignment and doing it wrong. If there are questions about the assignment after reading the instructions, then ask questions. APA is a pain. Yes, even professors have to go back and review APA guidelines because every little detail is so important. Learning to write scholarly papers is part of the learning process that adult learners need to embrace. We know you have many outside responsibilities and we do care. When an adult learner commits to their education, professors expect students to make their education a priority. There is a time commitment to learning and school should not fit in around the edges as time permits. School needs to be front and center on the priority list. The course assignments are designed to maximize your learning and all have purpose. The texts have been selected with care and should enhance your learning. So, adult learners, please know that professors want to help you and are willing to answer your questions but you also need to make a commitment to your education to maximize your success in school. Proverbs 17:10 advises that a reproof has more effect on a wise man than a severe beating has on a foolish man. Each time I drop my (perfect, beautiful, intelligent) teenaged daughter at school, my parting words for her are “Love you! Remember, obey God and make good decisions today.” She smiles, rolls her eyes (she has heard it a thousand times) and jumps out to escape any more of Dad’s sage advice. And as she walks away, I silently pray that she will indeed live wisely. I wish that I could report that I have learned and routinely practice the proverb I referenced above. Alas, too often while considering myself wise I do the most foolish things! And yes, life has a way of beating me up when I behave foolishly. I can look back on my life and see just a few key decisions that, had I chosen wisely, would have chartered a more fruitful course for me. I suppose one of the greatest lessons in wisdom I have had to accept is that God puts people in my life to help me along the path of wisdom. My foolish pride has kept me from hearing their wisdom from time to time, but as I get older I am beginning to be able to hear. Oh that I would have heeded them as a young man! “Too soon old, too late wise.” NOW I get it! I expected my mentors to be bigger than life, like in the movies. 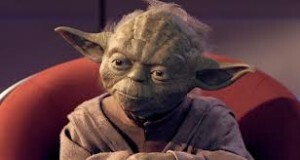 If God had put a Master Yoda or a Gandalf or perhaps a Lion King along my path I might (might!) have listened. But instead He put parents, siblings, friends, elders, bosses, coworkers, and especially teachers. Teachers? I knew that teachers helped me gain knowledge, certainly, but wisdom? And then I remembered all of the times I have reacted badly to a grade or corrective input regarding my schoolwork. “This isn’t fair! I turned in all of my work—where’s my ‘A’?” “How DARE he/she put that much red ink on my essay? Teacher just doesn’t like me…” and on and on, etc. etc. etc. Yet, in all honesty, I learn more from my mistakes than from my successes. Having an instructor hurt my feelings and destroy my ego with a bunch of red ink made me a better writer, a more earnest critical thinker, a more studious student. Could it be that God placed that instructor in that classroom to reprove me? And, in so doing, he or she imparted something magical? Proverbs 10:17 instructs me that he who heeds instruction is on the path of life. I like that. More importantly, I NEED that. In a world of darkness and death, someone who cares enough to impart life in the form of reproof is a gift from on high. So, ego and hurt feelings notwithstanding, I strive to embrace wisdom. As the writer of proverbs stated so eloquently, I need to seek wisdom with all of my heart, shouting aloud for it and digging deep like searching for hidden treasure. And maybe take the advice of the wise ones God has blessed me with! And so, if you encounter me from time to time with a bleeding ego, bruised feelings, or grousing about the injustice of the latest correction God has brought into my life, just remember (and maybe remind me) that God and His appointed teachers are molding me into a wise man.